"Anything Goes" is the challenge this week at Christmas Card Challenges. It's a chance to do what you want to do and showcase that project you've had floating around in the back of your mind. That's just what this one is for me. When my friend, Karen, visited last month, she brought some of her stamp sets with her and she graciously left her Ornamental Pine Stamp Set with. I'm going to be so very sad when I have to send it back to her. 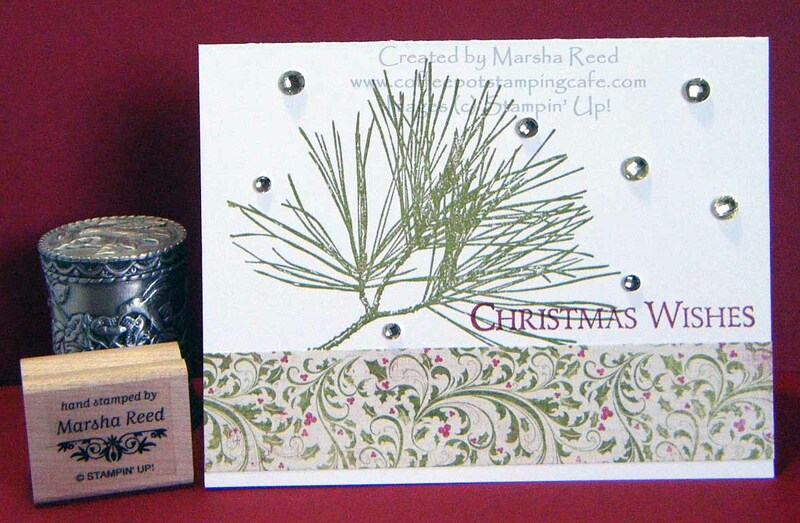 Stamp Set: Ornamental Pine; Inks: Cherry Cobbler, Old Olive; Card Stock: Festive Collection 6x6 Bundle (Authentique), Whisper White Thick; Accessories & Tools: Champagne Rhinestones, SNAIL Adhesive, Stampin' Trimmer. 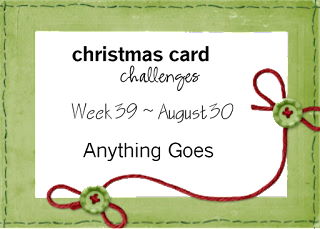 All Stampin' Up!® products unless otherwise note. Join us at Christmas Card Challenges for this week's "Anything Goes" challenge. 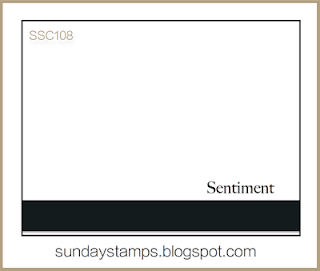 The sketch I used is from the current Sunday Stamps Challenge. So pretty! I love that designer paper and you used one of my all-time favorite holiday stamp sets. Great card! Thanks for joining us at Sunday Stamps, hope to see you again soon! Thanks, Amy! I made the mistake of not ordering it and do so regret it. Such a lovely Christmas card! That Ornamental Pine stamp set will be a favourite for a long time. Thanks for joining us at Sunday Stamps this week! Thanks, Leena! It is a beautiful set, isn't it? Beautiful card, Marsha! I love this set and you used it wonderfully here. Hopefully you'll be able to find the set somewhere...if I spot it anywhere I'll let you know. Thanks, Lisa! I would appreciate that. It's really getting hard to find.